Press in different cities have had the option to try out the New Menu Options at Olive Garden and the tasting was recently offered in New York City at the Olive Garden Restaurant in Times Square, I had been reading other reviews of the menu posted by blogging pals in other cities, and was pretty stoked to get the chance to try it all out too. 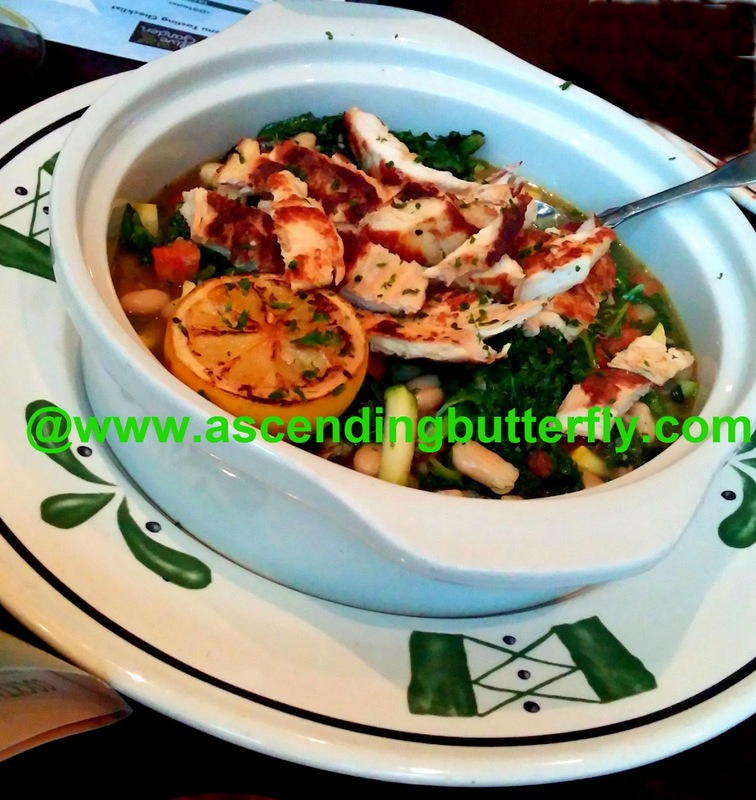 There were old favorites that were re-configured and a few new noteworthy menu options for us to explore. Menu Tasting Checklist! One hour, 9 courses + Dessert. 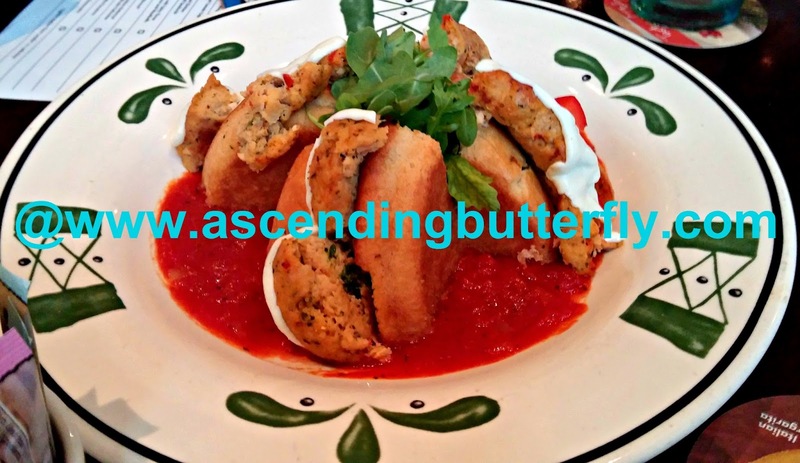 Above: A blend of Italian Cheeses and rice that are lightly fried and served on top of Marinara Sauce. 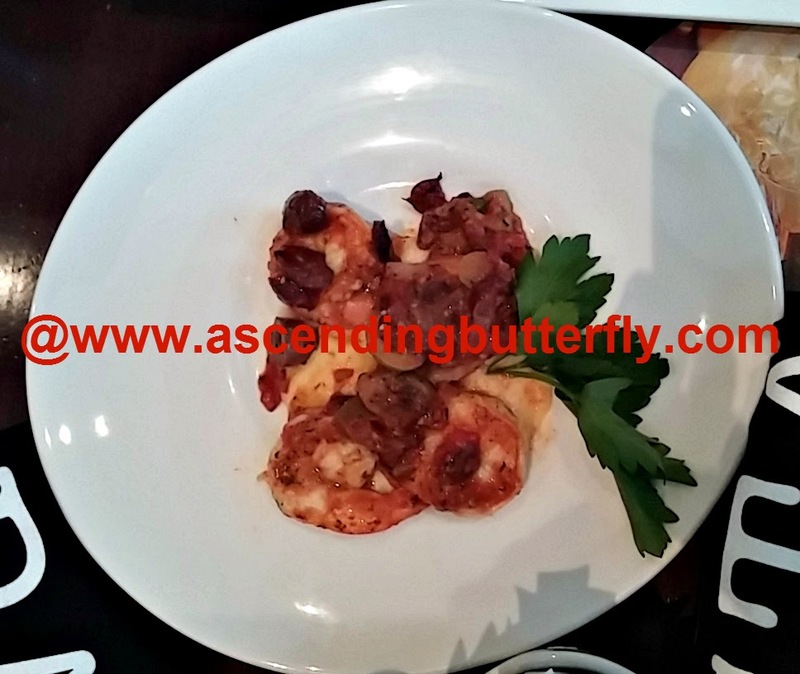 Above: Sautéed Shrimp on creamy Polenta that is topped with a fresh blend of olives, capers and tomato sauce. 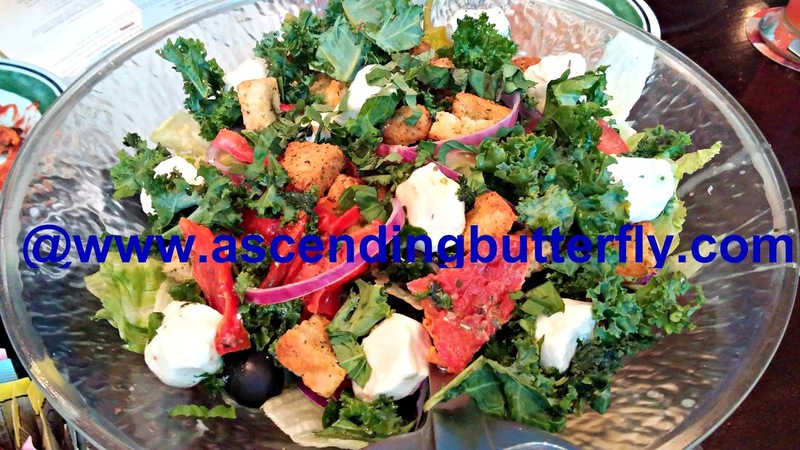 Above: Mixed Greens, Kale, Basil. Olives, Roasted Tomato, Croutons and Fresh Mozzarella with an extra virgin olive oil drizzle, make this Salad a Stand Alone Standout! Above: This dish is included as part of the current "Never Ending Pasta Bowl". From September 22nd through November 9th you can enjoy more than 150 pasta combinations, plus home-made soup or garden-fresh salad and fresh baked garlic breadsticks - unlimited. Starting at $9.99! 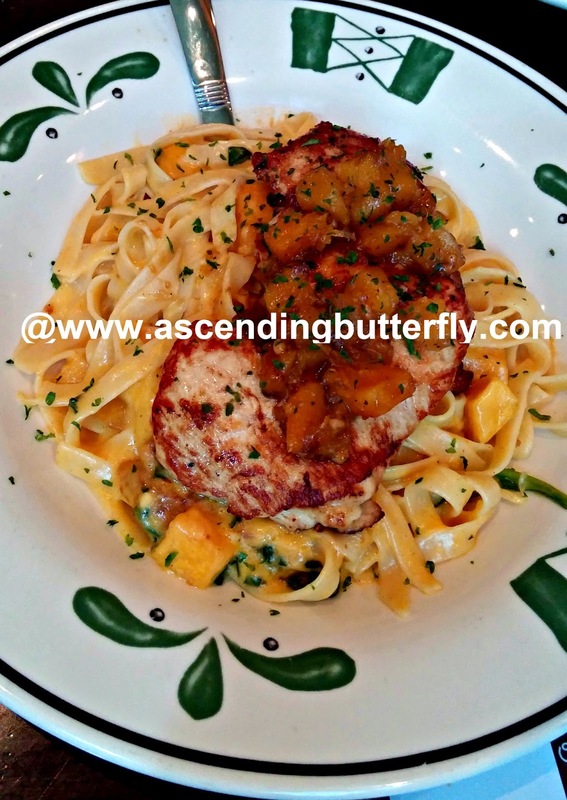 Above: Chicken Breasts served on a bed of Fettuccine tossed with creamy roasted butternut squash alfredo and fresh spinach. This is a Fall Menu Item that will be available for a limited time only. 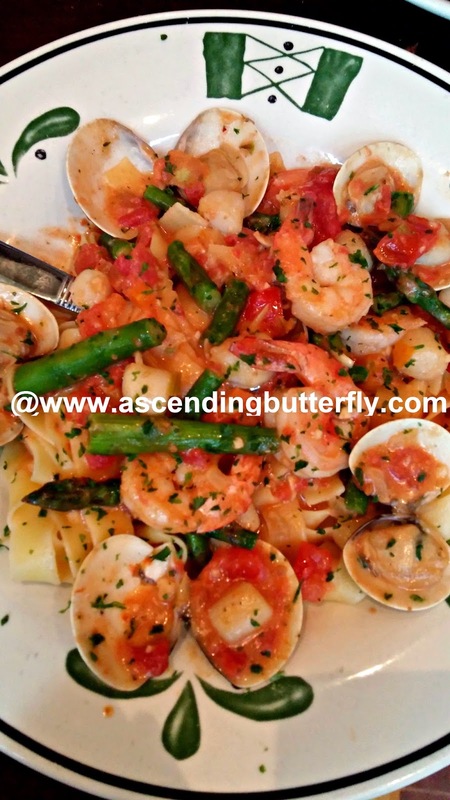 Above: Sautéed Shrimp, Bay Scallops, and Clams tossed with Pappardelle Pasta, fresh asparagus and tomato in a creamy red pepper seafood sauce. I am a seafood lover, and this was by far my favorite of the entire tasting menu. I will be going back for this one! Above: Pumpkin Cheesecake topped with whipped cream, caramel sauce and ginger cookie crumbles which is available for a Limited Time Only. I love that Olive Garden always encourages guests to try out their wines and allow you to taste any wine that catches your eye on their beverage menu, with no obligation if it doesn't appeal to you. I'm a fan of their Moscato! (The ones on the menu are actually quite different in taste, and the server will help you figure out which pairs best with what which I truly appreciate!) I wanted to hold on to the last fleeting days of warm weather. 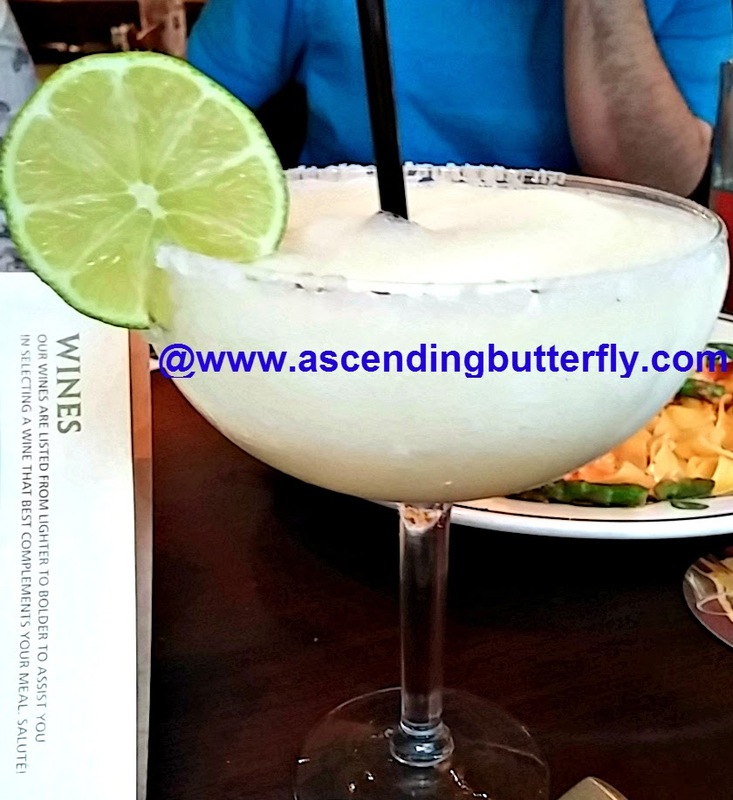 and ordered a Frozen Margarita. Bye! Bye! Summer, Hello FALL! Cozy Sweaters, great boots and comfort food are all signs of the season! 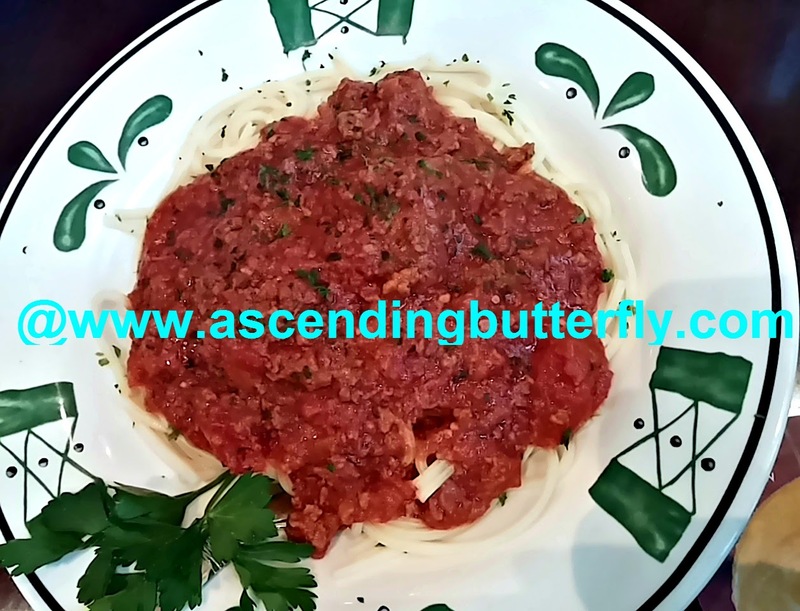 Butterflies what is your favorite Olive Garden Dish? 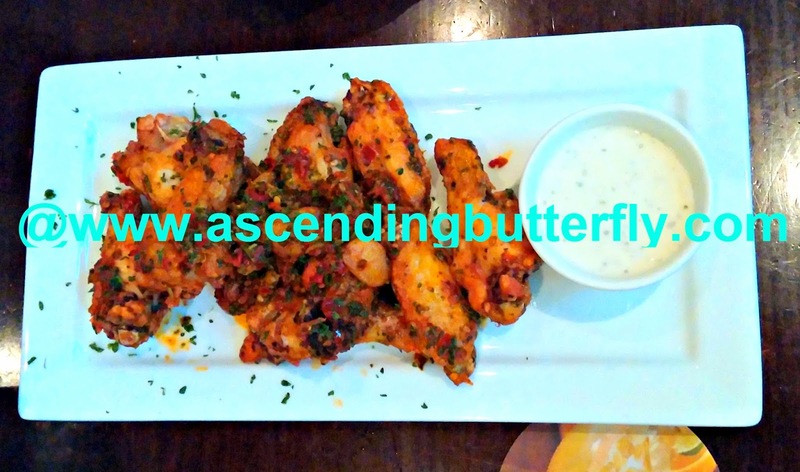 FTC Disclosure: I was invited to experience the new menu to facilitate my review, this is NOT a compensated post/placement. All opinions are expressly my own. I am disclosing this in accordance with the Federal Trade Commission 16 CFR, Part 255 - Guides Concerning the use of endorsements and testimonials in advertising, you may visit our full giveaway and disclosure page for complete policy information. I haven't been to Olive Garden for years. This post is inspiring me to go back! @Kim - It had been awhile for me as well, but seasonal/rotating menus tend to keep things interesting for me and make me want to return to try something new! I haven't been to an Olive Garden in forever. I remember always loving their soup and salad, though. That pumpkin cheesecake also looks divine! Been a while since I ate at Olive Garden. I love it, but our local one always has too long wait lines. I'd love to try those Risotto Bites! I honestly have never been to Olive Garden. The Pappardelle Pescatore did look tasty ,looks like i'll be dropping in .I do enjoy a little proseco , Nice to know that they rotate their menu. I didn't know Olive Garden had a new menu. I would like to try the Risotto Bites and the Pumpkin Cheesecake. @Catherine - Run! Remember it's a limited time only menu on the seasonal items! Oh man I would totally love to do a tasting at Olive Garden, my husband and son would too! The risotto bites look interesting. Drool on the pumpkin cheesecake! 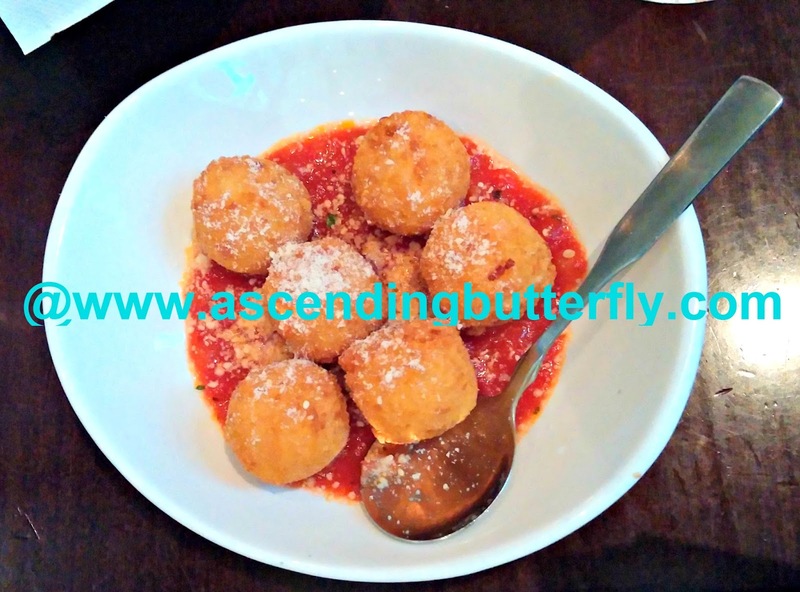 @Rowell Reviews - I am always game for a Restaurant Review/Tasting myself! It's one of the best things about living in NYC, your palate never gets bored! 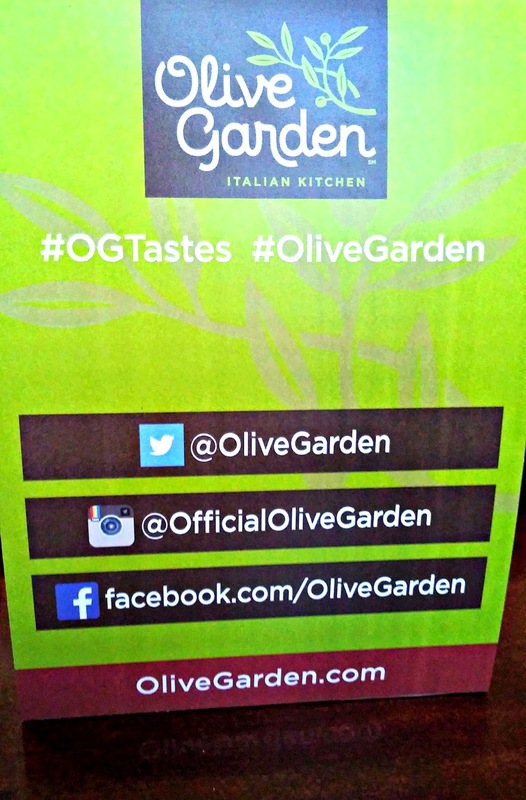 I've not been to The Olive Garden in forever but these choice look great. I might have to try that cheesecake. @Aimee - That's a seasonal flavor so you definitely want to grab it before it goes! I've never been to Olive Garden! We don't have them in Canada but that smashed chicken sandwich - YUM! Looks amazing! I have never really wanted to try Olive Garden. The food in the commercials isn't appealing to me. But these dishes look delicious! The risotto bites like delicious. Actually everything looks super good. I'd like to try them out! I love anything with shrimp! Might have to take a trip to Olive Garden. All of this looks delicious. We love Olive Garden! Yum! Pass over the Pappardelle Pescatore! I would pig out on that. I love when restaurants change up their menus. I'm starving at the moment, and these pictures are totally making my mouth water. 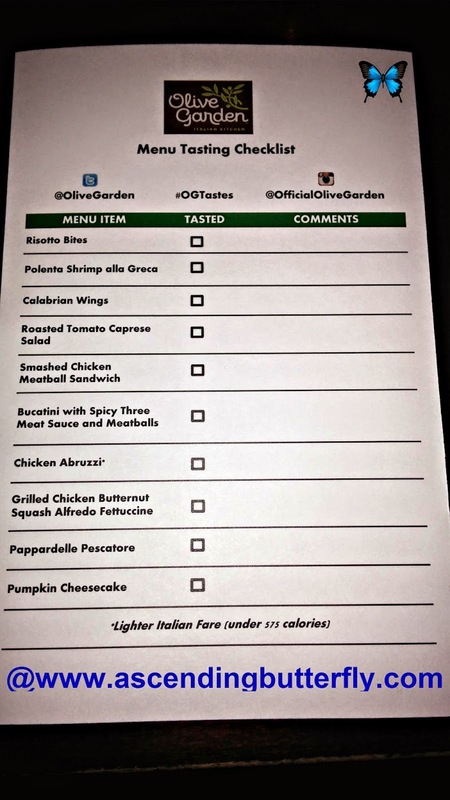 How fun to go to an Olive Garden taste test. They have such great food.